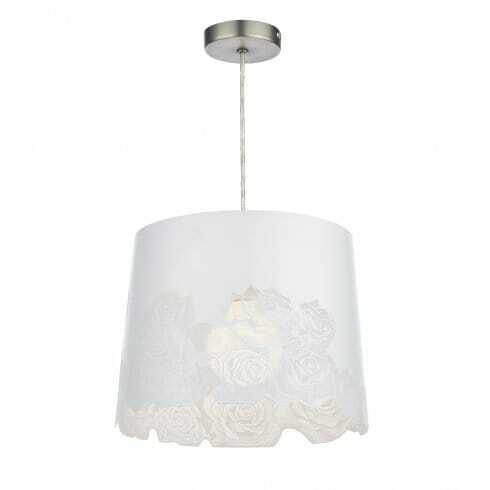 Dar Lighting Bloom ceiling light pendant features a tapered, soft sheen, white metal frame with an intricately designed and laser cut, rose motif. The product code for this Dar ceiling light pendant is BLO652. Designed to easily fix directly onto your pre-existing E27/ES or B22/BC lamp holder as a cost-effective and hassle-free alternative to installing a complete new fixture. For further easy-fit pendants, please continue to browse through our website.